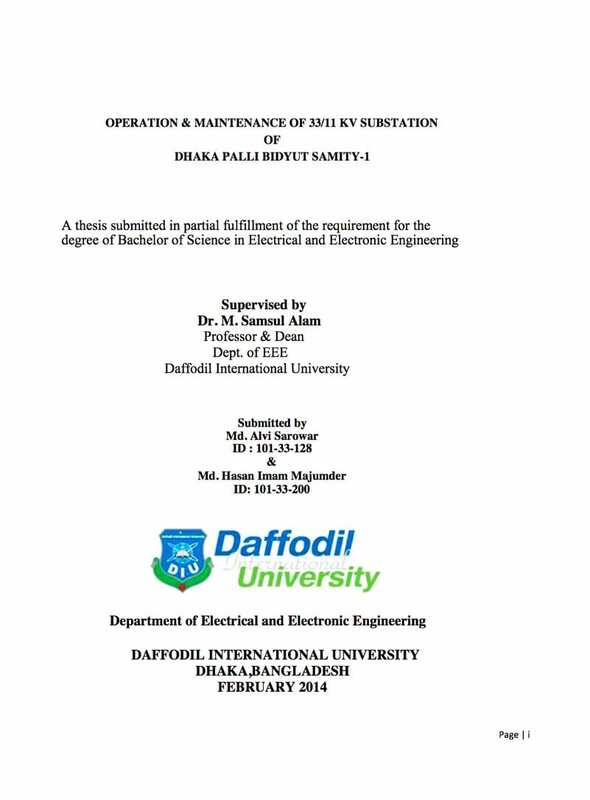 This thesis report is prepared in according to the operation and maintenance procedure of 33/11KV Substation, including emergency maintenance work. 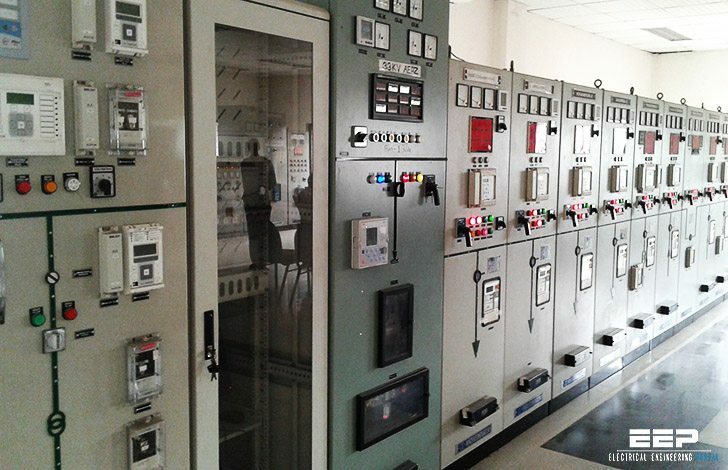 This is a switching sub-station from where Dhaka Palli Bidyut Samity -1 and other PBSs are controlled. It has thirteen feeders from where different PBSs are fed. Actually it is consists of a feeder controlling room and a switching yard. All controlling such as line current each feeder, line and phase voltage for each feeder are measured by many Low Tension (LT) panel and High tension panel (HT). Switch yard is the place where the actual equipment are working properly. 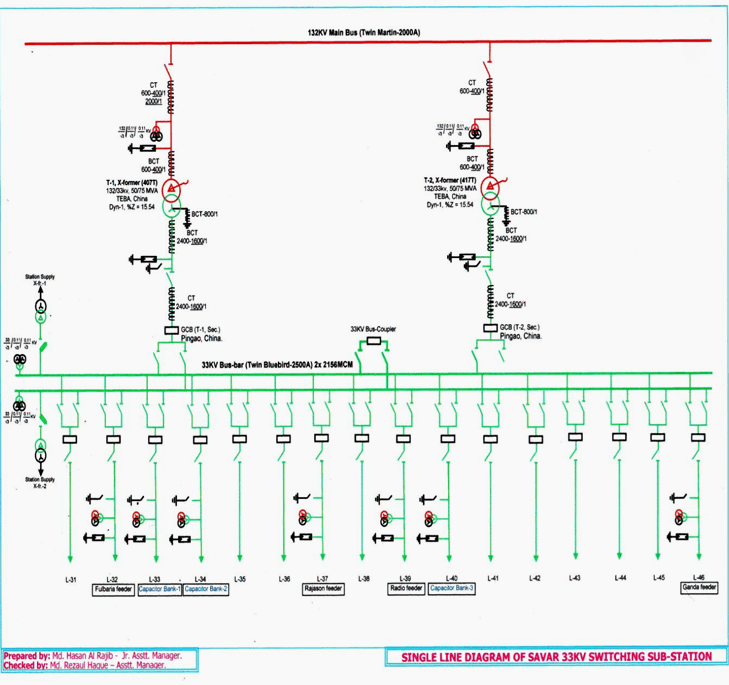 This is a large place where switch gear components are paced according to the one line diagram which is provided by an experienced electrical engineer after electrical calculation. In Sub-Station, it is often desired to disconnect a part of the system for general maintenance and repairs. This is accomplished by an isolating switch or isolator. An isolator is essentially a knife Switch and is design to often open a circuit under no load, in other words, isolator Switches are operate only when the line is which they are connected carry no load. For example, consider that the isolator are connected on both side of a cut breaker, if the isolators are to be opened, the C.B. must be opened first. If an isolator is opened carelessly, when carrying high current the resulting arc easily causes flashover to earth. This may batter the supporting insulators & may even cause a fatal accident to the operator, particularly in the high voltage circuit.